Political, spiritual, civil rights, and labor leaders guide thousands of activists down Woodward Ave. during the “Walk to Freedom” civil rights march, Detroit, Michigan. 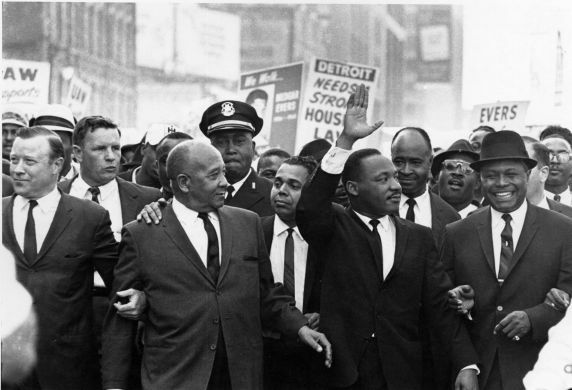 Left to right: Walter Reuther, Benjamin McFall, James Del Rio, Dr. Martin Luther King, Jr., and Rev. C.L. Franklin.